Cebiche, cebiche, cebiche. Is that all Peruvians eat, some may wonder. And the answer is YES! OK, before all Peruvians reading this are offended by my over-simplying our vast gastronomy to just one kind of dish, let me rephrase that. 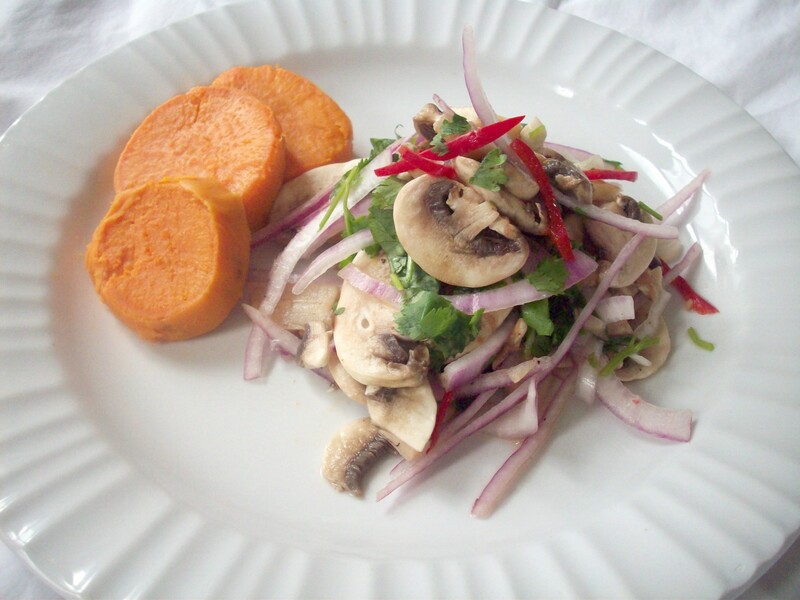 Peruvians eat a lot of different things. But whenever possible, they will have a fresh cebiche. If given the option, cebiche is probably what they will pick. It doesn’t matter if it’s sunny or cloudy, warm or cold, cebiche is the favorite dish of a big percentage of people there, and yes, in some places it’s even eaten on a daily basis. Some friends of mine with health concerns (high cholesterol levels, tryglicerides etc. 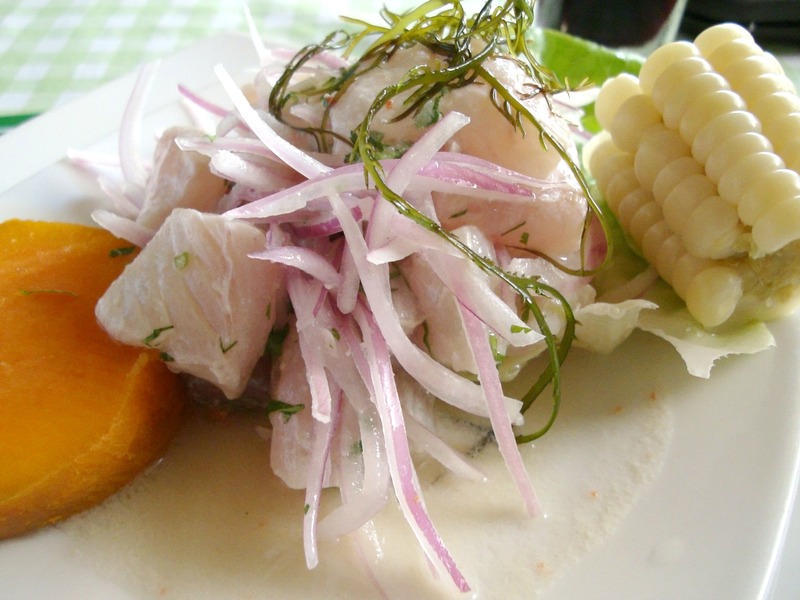 ), willingly enjoy a cebiche for lunch most days of the week, and they feel terrific. It´s a fat-free, protein-rich lunch, that couldn’t be healthier, fresher, and tastier. And even though the average person never gets tired of the classic fish cebiche, for those who like to spice things up a bit there are hundreds of different variations when it comes to our celebrity raw appetizer. 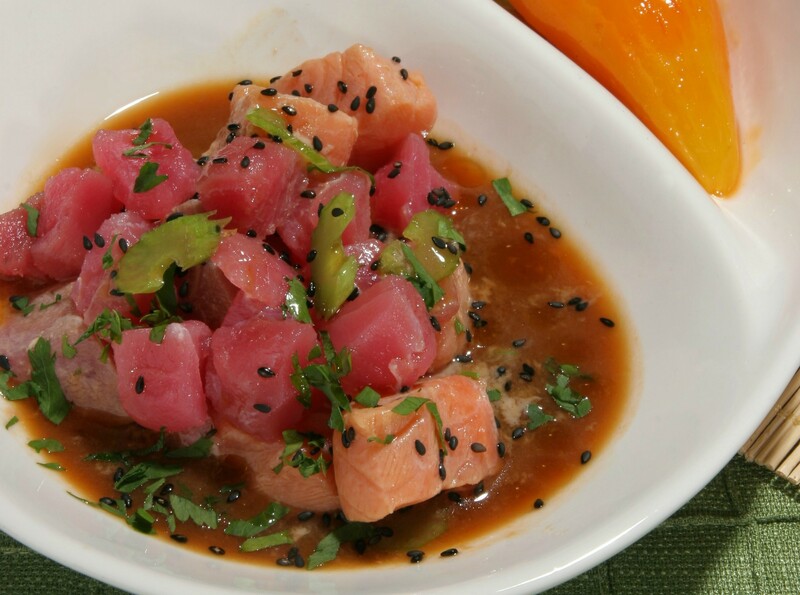 Salmon and tuna, two of the most praised species from the oceans, have found their way into cebiche too, and in this recipe they are enhanced with Asian highlights. 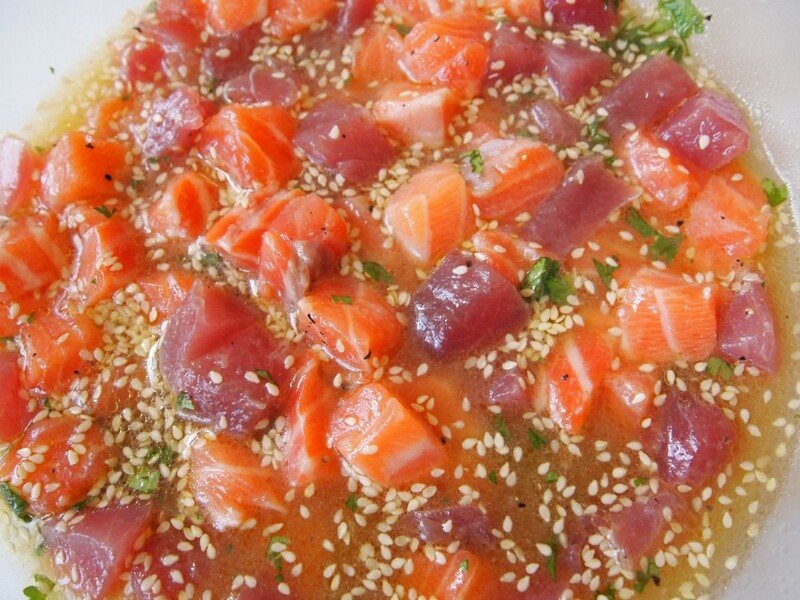 Both of them are great when raw, especially tuna, which is not very common in cebiche because it has a tendency of turning an unappetizing gray color when mixed with citric juice. To avoid this, simply add the tuna just before serving time. 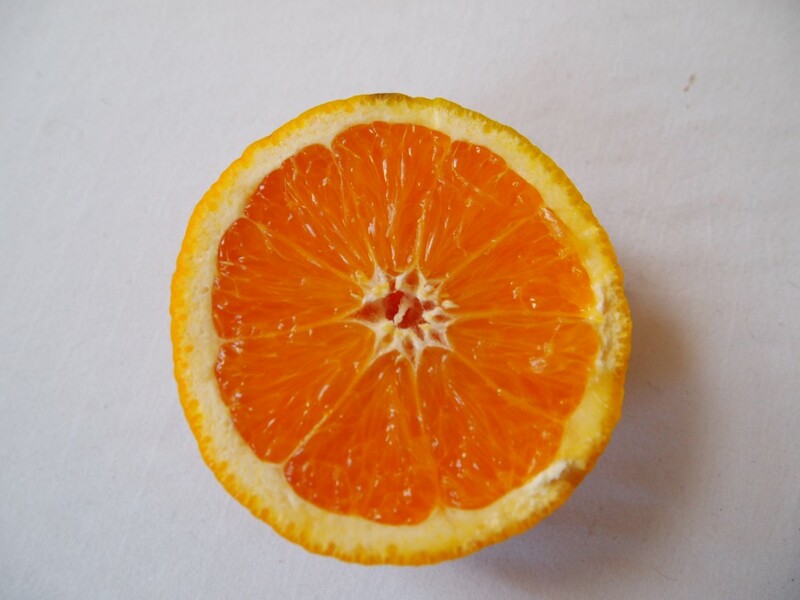 This way, it will have the flavor of the marinade and will keep its vibrant red color. You can do the same with the salmon if you wish. 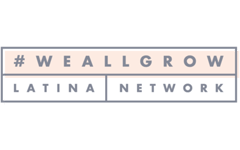 In Peru we NEVER use frozen fish, particularly when it comes to raw dishes, so take the time to look for the freshest salmon and tuna you can get, and prepare it the same day you buy it. The quality of the best cebiche lies on the freshness of the fish and seafood used to prepare it. Paying a little bit more for a better kind of fish will make all the difference in the world. 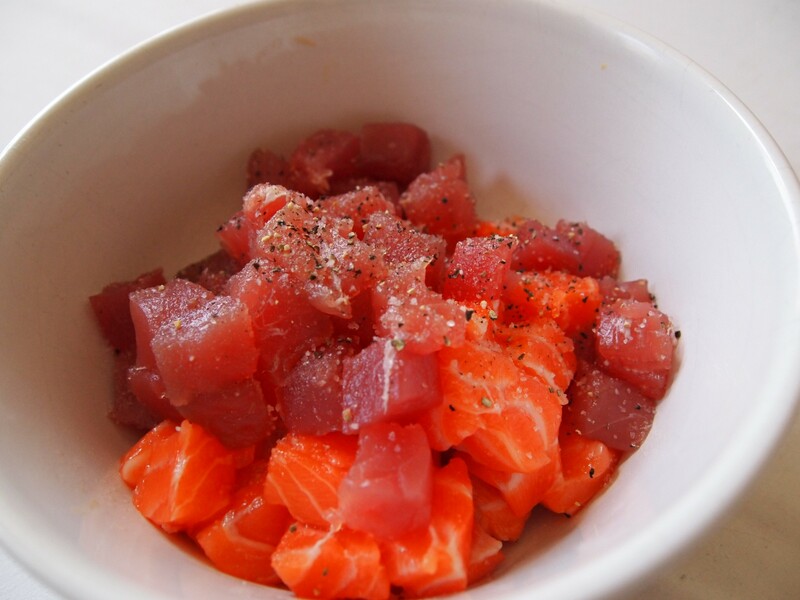 Cut the salmon and tuna filets in 1.5 x 1.5 inch dices. Place in a bowl, and add salt and pepper. 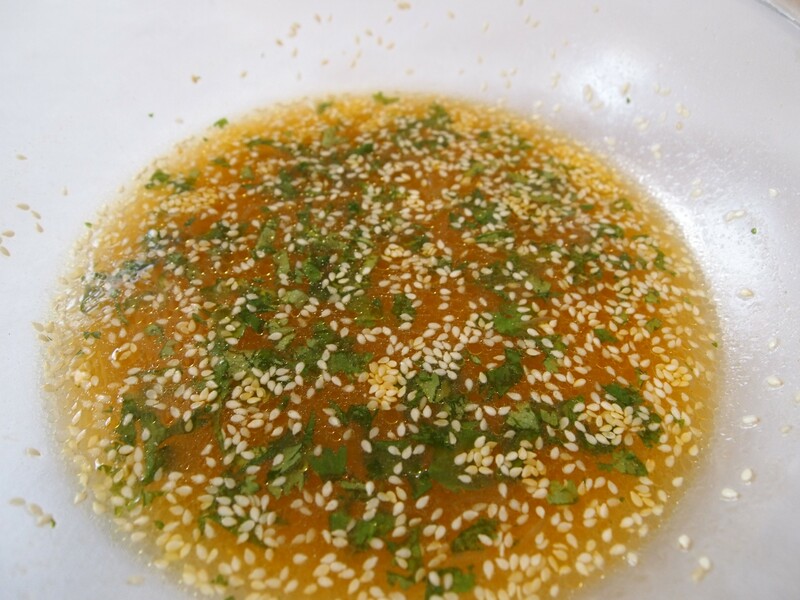 In a small bowl combine sesame oil, 1 tablespoon cilantro, lime juice, orange juice, soy sauce, wasabi, honey and sesame seeds. Add to the fish, and marinade refrigerated for about 5 minutes. Serve in soups plates with a glazed sweet potato. Sprinkle with cilantro. 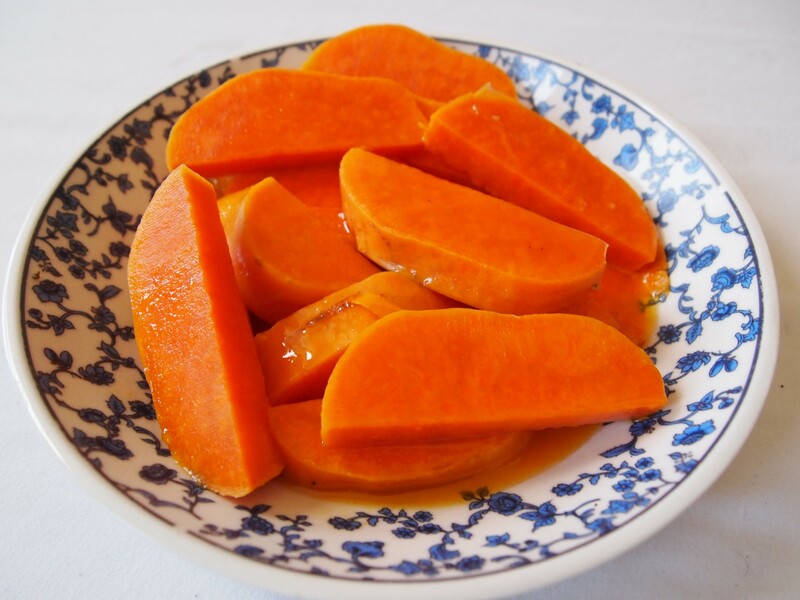 *To glaze the sweet potatoes, peel them and cook in 2 cups orange juice, 2 tablespoons sugar, and 2 cloves, until tender. Add boiling water as needed. When they are tender, take them out of the pan and continue cooking until the juices are slightly thick. Turn off the heat, and put the sweet potatoes back in the pan until ready to use. To serve, they should be at room temperature.